I don't know if you know this about me, but I love The Sound of Music. 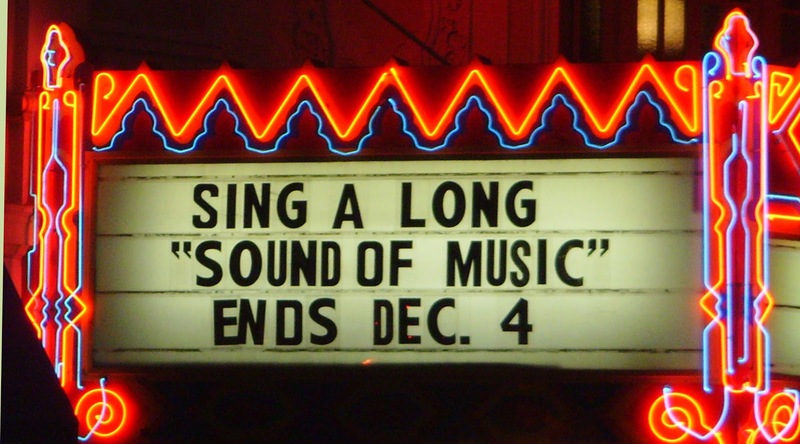 There's whimsy, romance, drama, comedy, and let's not forget singing. 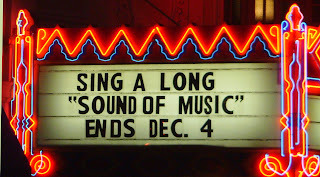 So two years ago when I first heard that I missed the Castro Theater's Sound of Music sing-a-long, I got myself into quite a tizzy. After plenty of googling (and tears), I discovered that it is a yearly show that pops up each year around late November. "Fear not," I told myself, "you will have your moment to re-live and re-love all that Maria and those curtain-wearing von Trapps have to offer." In January 2010 I mustered up all of my patience to prepare myself for a grueling 11-month waiting period. And then, just as November was coming to a close, I realized that I would be out of town the entire time that SOM would be playing. Just my luck! "Listen, you did it once so you can do it again." I thought as I tried to push aside my heartache. Throughout the year I eased my burden by watching The Little Mermaid sing-a-long in the summer and The Wizard of Oz in the fall. WOZ is another huge fave, so it definitely tied me over. 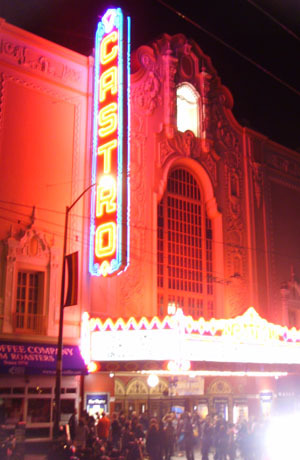 Also, it was awe-inspring to see just what a sing-a-long at Castro Theater entails. It all starts when you walk in the doors and are greeted by adults in full on character specific costumes. You are handed a goodie bag full of props and accessories to be used during the sing-a-long. In the background you hear a medley of songs from the movie and then realize that there is a man at the front of the theater playing the songs on an organ -- be still, my heart. Next up is the costume contest (completely adorable and silly) and run down of when and how to use your props. This is not a game, people, not a game. To say that I couldn't contain myself would definitely be an understatement. I don't think life can get much better than singing the SOM's greatest hits at the top of your lungs with a crowd of complete strangers. This was truly one of my favorite things of the year, and it was worth the wait.